Structural heart disease refers to heart disease that is acquired through wear and tear, or heart disease that people are born with. An example of structural heart disease acquired through wear and tear would be a tight or leaky heart valve. An example of structural heart disease people are born with would be a hole within the chambers of the heart. Heart valve disease is by far the most common structural heart disease encountered by structural heart specialists in clinical practice. Structural heart disease is one of the most exciting and fastest growing fields in cardiovascular medicine. Incredible advancements in technology have allowed previously unthinkable procedures to become the norm. For many patients with structural heart disease, previously high-risk open-heart surgeries have been replaced by non-surgical minimally invasive procedures with lower risk, less trauma, and a faster recovery. Such procedures include heart valve repair and replacement that can be performed through small tubes known as catheters. Originally designed for high-risk populations, structural heart procedures are being performed on lower and lower risk populations. Structural heart disease procedures are performed through small tubes known as catheters. These catheters are hollow and through them a variety of instruments are passed up to the heart and used to deliver treatment devices. The catheters are typically placed through catheters in the leg. 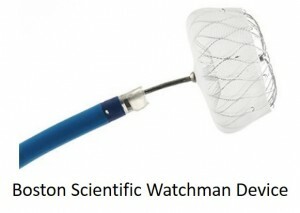 For example, in patients with diseased heart valves, a new valve is passed through a catheter and secured in to place. Incredible technology allows these valves to be passed up to the heart in a highly compressed state so it can pass through the catheter, and then when in the correct position, it can be expanded appropriately to the desired size where it becomes a fully functioning valve. 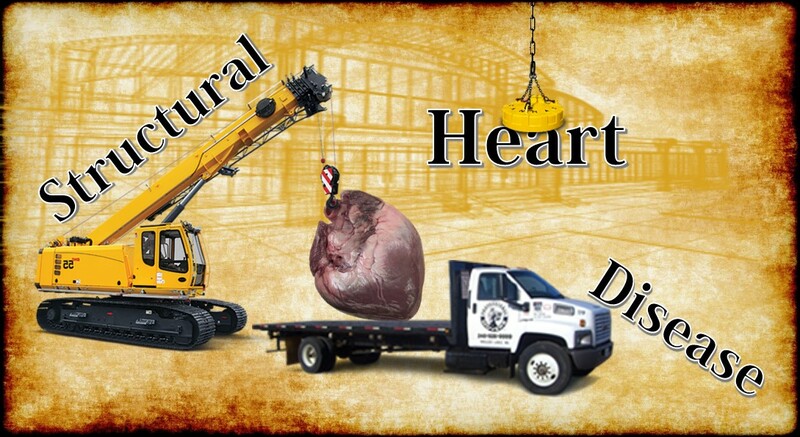 Structural heart disease procedures require a great deal of expertise and a team approach. The term used for this is a heart team approach. The heart team generally consists of interventional cardiologists, heart surgeons and imaging specialists. Each member has a key role and ultimately the combination of these specialists allows development of optimal treatment plans. 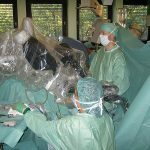 In many structural heart procedures the interventional cardiologist and the surgeon will perform the procedure together while the imaging specialist is guiding them. Structural Heart Disease Procedures vs. Surgery – Which is Better? In the leading centers, structural heart specialists and cardiac surgeons work hand in hand to provide the widest range of options for patients with structural heart disease. In some cases open-heart surgery is a better option, and in some cases catheter bases structural heart procedures are a better options. What does the evidence suggest? What will provide the best result? What is the acceptable degree of risk associated with the procedure? Will the result be durable in the long term? What does my patient want? The best answer to the above questions lies in a meeting of the minds of both surgical and structural specialists who can discuss the pros and cons of each approach and come up with the best answer on a case-by-case basis. The most significant advancement in structural heart disease in the last decade has been the TAVR procedure for the aortic valve. 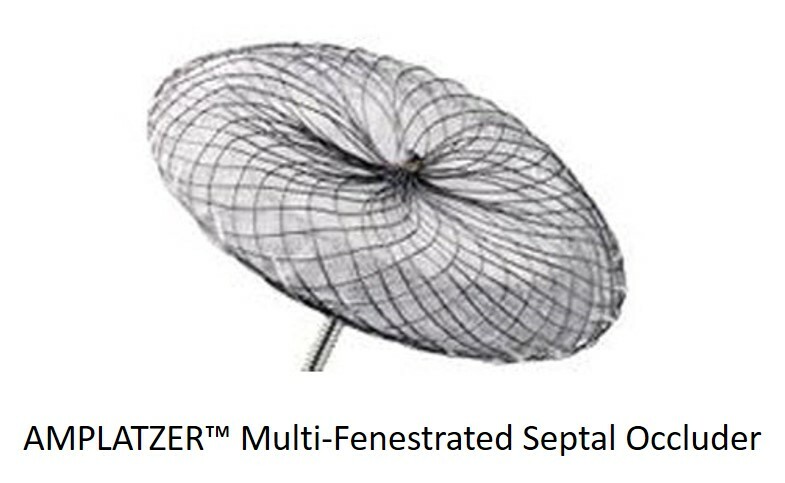 TAVR stands for transcatheter aortic valve replacement. In this procedure a new aortic valve is placed inside the old diseased aortic valve. 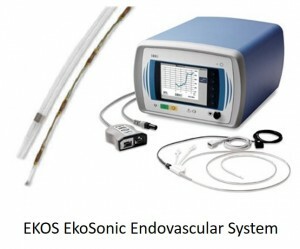 Most commonly the catheter is placed through a blood vessel in the leg and the valve passed up to the heart. Sometimes the valve is placed through a small incision on the chest wall. The TAVR procedure is currently the most commonly performed structural heart procedure in the world. 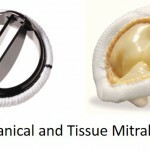 The most common transcatheter mitral valve procedure currently performed in the US for structural heart disease is the Mitraclip procedure for patients with a leaky mitral valve known as mitral regurgitation. 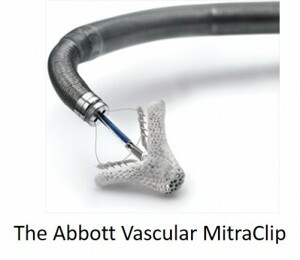 In the Mitraclip procedure, a clip is placed on the leaky portion of the valve reducing the leak. It’s an attempt to replicate an old surgical technique called the Alfieri stitch whereby a stitch was placed between the leaking portions of the valve. A current exciting field is the development of a transcatheter mitral valve replacement that will allow an entirely new valve to be placed in the mitral position. Atrial septal defects are holes in between the top chambers of the heart and ventricular septal defects are holes in between the bottom chambers of the heart. The majority of these defects are present from birth and if large enough can lead to heart enlargement and heart failure. The majority of these defects can be closed with catheter-based devices that cover the defects and are associated with excellent results in appropriately selected patients. In hypertrophic cardiomyopathy, or HOCM, there is enlargement of the heart that causes obstruction to blood flowing out of the heart. HOCM is a relatively common structural heart disease. In patients that remain with symptoms despite medicines there are two options, firstly is an operation known as a myomectomy which is an open heart operation that involves cutting out the area of tissue causing the obstruction. The minimally invasive option is known as alcohol septal ablation and is a catheter-based procedure that involves injecting a small amount of alcohol in to the area causing the obstruction causing it to shrink. The patent ductus arteriosus is a connection between the main blood vessels that leave the heart. The vessel supplying the body is known as the aorta and the vessel that sends blood to the lungs is known as the pulmonary artery. The PDA connects these structures so that before birth, when the baby is not breathing air, oxygen rich blood from the mother is able to reach the body. In about 2 out of every 2000 births the PDA stays open and can lead to heart enlargement if it stays open in to adulthood. In most patients the PDA can be closed by transcatheter techniques. Patients with atrial fibrillation are at increased risk of stroke because of clots that can form inside a structure in the top chamber of the heart known as the left atrial appendage. The use of blood thinners can reduce the risk of stroke. Many patients however cannot take the blood thinning medications due to a high risk of bleeding. In such patients, a catheter based structural heart procedure known as left atrial appendage occlusion can be performed to eliminate the appendage. An example is the Watchman device. Hundreds of thousands of patients have had valve replacement surgery where a metallic or a tissue valve is used to replace the diseased valve. In some of these patients, the stitches used to sew the valve in to place can become loose resulting in a leak around the valve. This is known as a paravalvular leak. Traditionally repeat open-heart surgery was required to repair the defect. 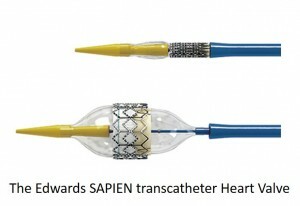 In a few specialist centers, such as Princeton Baptist Medical Center, transcatheter techniques can be used to close these defects avoiding the need for open-heart surgery. Pulmonary embolisms are clots in the lung and are amongst the most common cause of death in the US. Large pulmonary embolisms are known as massive and submassive pulmonary embolisms and are critical situations for those patients that make it to hospital. Traditionally the only options for these large clots were open-heart surgery or clot busting medicines, both associated with significant side effects. Now catheter based treatments can effectively treat pulmonary embolisms while avoiding open-heart surgery or the bleeding risks associated with large doses of clot busting medicines. Structural heart disease procedures are growing at a remarkable pace. Just a few years ago no one would have believed that heart valves could be replaced through small tubes inserted in to the vessels of the leg. Now hundreds of thousands of such procedures have been performed. It’s well accepted now that the majority of open-heart procedures will gradually be replaced by more minimally invasive options for patients with structural heart disease as technology progresses. Ok, this helps but I am still having a little confusion. Structural heart disease specialists only perform minimally invasive surgery? I have very complex adult congenital heart disease. The doctors reviewing my case are all structural heart specialists. I want open surgery as it’s the best results on valve replacements and I am pretty sure not everything can be repaired minimally invasive, but enough to keep me going a bit. Either way, I will require more than 1 surgery. What type of cardiac surgeon is best to do open surgery for congenital disease? There are ACHD specialists at this hospital who operate on children and adults but they are not involved. The doctor I was referred to by another cardiac surgeon, I was told is not the best suited to operate. It seems I am not involved in these decisions and I don’t quite get how it works. Structural heart disease has basically ben hijacked by doctors that evaluated and/or perform procedures minimally invasive in nature for a variety of structural defects. Dr’s that evaluate complex adult congenital heart disease are generally somewhat familiar with structural heart specialists however they have been extensively trained in adult congenital usually by means of a dedicated fellowship. They may send you to structural heart specialists for procedures or they may send you to surgeons depending on what they think is best. In good current day set ups, such decisions are made by a heart team that has all of the needed specialists within it. In terms of choice of procedure, often catheter based procedures can be as or more effective than surgical ones. The heart team that includes a structural specialist, an adult congenital specialist and a surgeon should decide. Thank you for the explanation, it has helped me understand a great deal better. I understand that what I think I want may not be what is best and decisions are best made by the experts. Since they aren’t able to find any other cases similar to mine and have no guidance on the best way to procede, I will be very grateful to whomever steps up to the plate in an effort to help. Thanks for taking the time to make the process clearer to me. and function. Moderate aortic valve stenosis with mild insufficiency. These are results of TEE about 4 months ago. I think there are a lot of positive things, but my cardiologist indicated it’s complicated. He says I am in an earlier stage of heart failure and to expect symptoms of SOB, swelling, dizziness. When I get to the point where I am dizzy 10x a day or SOB walking short distances is when a treatment plan will be started and I should come back, otherwise a tee after a year. At 4’11” I weighed 210lbs when I began having symptoms. I now weigh 147. I understand losing weight won’t prevent surgery but it has helped me to feel better for a while. I want to be in best shape possible when surgery is needed. I have had to do this through diet only as I can go for walks, but nothing above a walk. My concern is I have had increased symptoms for the last month. I have difficulty going for walks due to increased SOB and dizziness. I get dizzy and will fall, I fell in the parking lot at work due sudden, severe dizziness. But, still it only happens a couple times a week. I am concerned I could injure myself or become dizzy while driving and have an accident. I guess I am wondering about guidelines for surgery. I am 20 + years away from retirement . If I report these symptoms and lose my driving privileges, I can’t work and won’t have health insurance and won’t be able to have surgery. It may be a year or two before I get sick enough for surgery. I just don’t understand how people deal with this stage of illness. It seems there must be a better way. Are these guidelines most cardiac surgeons follow?